Chuck is the Practice Manager for Experis Business Intelligence and Analytics (formerly known as COMSYS). He has Computer Science and Statistics degrees from Kansas State University and PhD work in Statistics at the University of Florida. Chuck has been with Experis since 1999 and since 2002 he has managed an eclectic team of analytics professionals in their Kalamazoo Center of Excellence. This group has been providing Business Intelligence and Analytics services to almost every industry since the early 90’s. 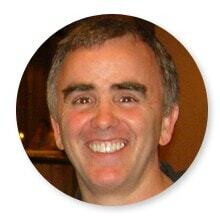 Chuck regularly speaks at SAS User Groups, the Joint Statistical Meetings and other events. His personal interests are in analytics talent, analytics infrastructure, education and visualization. 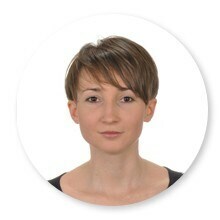 Iga Sikorska is Assistant Professor of Statisitics at the Warsaw School of Economics. As teacher, she proved to be an effective leader able not only to articulately explain complex statistical concepts, but also inspire students to share her passion for analytics. As business consultant and lecturer, she has collaborated with analysts from numerous industries, including healthcare, banking, insurance, and telecommunications. She contributed her vision and enthusiasm to troubleshoot business problems in various fields and translate them into analytically supported solutions. She holds a degree from the Institute for Advanced Analytics NC SU, USA. Prof. Goutam Chakraborty is the director of Graduate Certificate in Business Data Mining and professor of marketing at Oklahoma State University. He has held managerial positions with a subsidiary of Union Carbide, USA and with a subsidiary of British American Tobacco, UK. In addition to his academic responsibilities, he provides consulting services on issues related to developing business analytics capabilities, digital business strategy, building and managing customer relationships. Companies such as Aetna, Mercruiser, Thrifty Rent-A-Car, Berendsen Fluid Power, Globe Life Insurance, Vanguard Realtors, Hilti, Love’s Travel Stops and others have used his consulting services. At Oklahoma State University, he teaches business analytics, data mining and CRM applications, advanced data mining, database marketing, and marketing research to masters and Ph.D. students. Goutam is an internationally known expert in the field of data mining and analytics and has presented numerous programs and workshops to executives, educators, and research professionals in the U.S., Europe, Asia, Australia and Middle East. 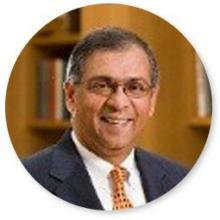 He has won numerous teaching awards including SAS® Distinguished Professor Award from SAS Institute, Regents Distinguished Teaching Award at OSU; Outstanding Direct Marketing Educator Award, from the DMEF, New York; Outstanding Marketing Teacher Award, from the Academy of Marketing Science, Coral Gables, Florida. Goutam's research has been published in many scholarly journals such as Journal of Interactive Marketing, Journal of Advertising Research, Journal of Advertising, Journal of Business Research, and Industrial Marketing Management. He coauthored two books: Text Mining and Analysis: Practical Methods, Examples, and Case Studies Using SAS® and Contemporary Database Marketing: Concepts and Applications. In addition, Goutam has served on the editorial review board of Journal of Business Research and Journal of Academy of Marketing Science. He has chaired the national conference for direct marketing educators in 2004 and 2005 and co-chaired the M2007 data mining conference. Goutam serves as a member of SAS® Customer Analytics Advisory Board, and JMP® Discovery Summit Steering Committee. Dr Carsten Bange is founder and managing director of the Business Application Research Center (BARC), an independent software market analyst and IT consulting company he founded in 1999. BARC offers strategic advice in business software and services decisions, a portfolio of in-depth software evaluations, conferences, consulting and market research that enables companies across Europe to make better technology decisions to enable datadriven enterprises. BARC is part of the CXP group, the leading analyst group for business software in Europe with a presence in 7 countries. Dr. Bange holds a PhD in management information systems, is a frequent speaker at IT conferences and seminars and serves as an analyst and consultant on business intelligence and data management strategy, architecture and technology selection for more than 15 years. Andrzej Gałecki is a Research Professor in the Division of Geriatric Medicine, Department of Internal Medicine and Institute of Gerontology at the University of Michigan Medical School, and is Research Scientist in the Department of Biostatistics at the University of Michigan School of Public Health. He earned his M.Sc. in applied mathematics (1977) from the Technical University of Warsaw, Poland, and an M.D. (1981) from the Medical University of Warsaw. In 1985 he earned a Ph.D. in epidemiology from the Institute of Mother and Child Care in Warsaw (Poland). 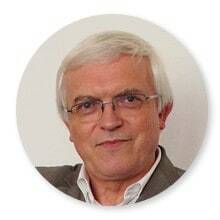 He is a member of the Editorial Board of the Open Journal of Applied Sciences. 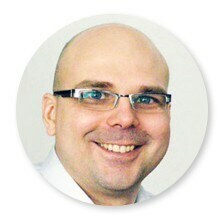 Since 1990, Dr Gałecki has collaborated with researchers in gerontology and geriatrics. His research interests lie in the development and application of statistical methods for analyzing correlated and over-dispersed data. He developed the SAS macro NLMEM for nonlinear mixed-effects models, specified as a solution to ordinary differential equations. He also proposed a general class of variance-covariance structures for the analysis of multiple continuous dependent variables measured over time. This methodology is considered to be one of the first approaches to joint models for longitudinal data. Prof. Marek Niezgódka is the co-founder and director of the Interdisciplinary Centre for Mathematical and Computational Modelling at University of Warsaw. He received his PhD in Mathematics in 1978 from the Warsaw University of Technology, and DSc in Mathematics in 1985 from the University of Augsburg. Fellow of several prestigious organizations, including Alexander von Humboldt Foundation. Member of boards and panels in Polish Academy of Sciences, European Research Council, European Science Foundations, as well as several Directorates-General of the European Commission. His research interests include: mathematical methods for visual modelling and data analysis, applications of new mathematical modelling approaches to decision support in complex systems, and multiscale mathematical and computational models of dynamic developments in distributed and hybrid systems. Founder and leader of the Applied Data Analysis Laboratory at ICM, University of Warsaw — an R&D group specialising in large-scale, machine-assisted analysis of heterogeneous data. Received his PhD in Computer Science in 2011 from the Polish Academy of Sciences. 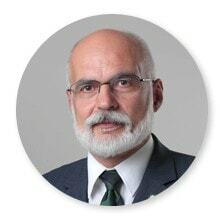 Expert of the OECD, European Commission, Polish National Centre for Research and Development, and Polish Ministry of Science and Higher Education. 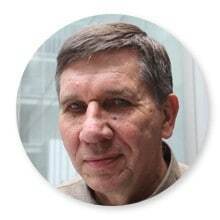 Since 2002 with ICM, University of Warsaw, where he has worked on diverse projects, such as: high-performance computing, mathematical modeling, air transport consulting, enterprise software development, scholarly communication. Prof. Włodzisław Duch, Ph. D.
He was granted the title of professor in 1997. Apart from theoretical physics and applied computer sciences he also works in the field of cognitive sciences, neuro-cognitive computer sciences and philosophy of mind. 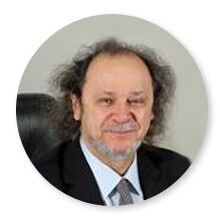 He is the author or co-author of over 300 publications in specialist magazines, co-editor of over 20 books, member of numerous scientific societies and publishing councils of over 20 international specialist magazines. He worked, among other places, at the University of Southern California in Los Angeles (1980-82), Max-Planck Institutes of Astrophysics and Psychology in Munich (1984-2001), several universities in Japan, Nanyang Technological University in Singapore (2003-2008, 2010-2012) and other educational institutions in Europe and USA. He was the president of the European Neural Network Society for two terms, he is a Fellow Member of the International Neural Network Society. 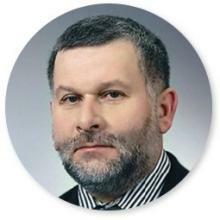 He was the expert for FP5-FP7 European Union Science Programmes, member of 3 committees at the Polish Academy of Science: Computer Physics; Computer Sciences (Automatics, Robotics, Neural Networks and Fuzzy Logic), and, from 2007, the Committee of Neurobiology. 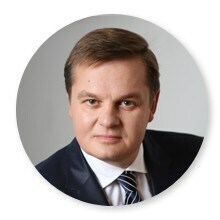 Since 2012 he has been the scientific research and computerization vice-chancellor at the Mikołaj Kopernik University. In the Ministry of Science and Higher Education, prof. Wodzisław Duch is responsible for computerization, including the POL-on system, and matters related to science and large investments in research infrastructure. Prof. Duch is also working on the implementation of procedures used for verifying applications for financing statutory activities with public science funds, as well as the substantive verification of such activities. On behalf of the Minister of Science and Higher Education he oversees the National Centre for Research and Development, National Science Centre, National Information Processing Institute, and Research and Academic Computer Network. 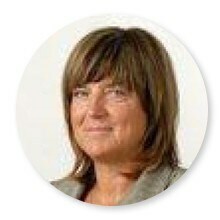 Joanna Plebaniak is Professor of Economics-Econometrics in the Institute of Econometrics at the Warsaw School of Economics. Her areas of expertise include: applied econometrics, empirical corporate finance, and fundamental analysis. She is the author of numerous articles, monographs and books, including “Stock exchange index as a linear econometric model” published in 2002 and “Systems of linear equations and boarding matrices” published in 2011. Graduate of the Main School of Planning and Statistics (now Warsaw School of Economics, abbr. WSE), Professor of Economics-Econometrics at the WSE Institute of Econometrics. Senator of the Republic of Poland for the VI, VII and VIII term. Worked at the Planning Committee and later on at the Central Planning Office. Academic staff member of WSE since 1981, when he was awarded a doctorate in econometrics. 1990-1996 Vice-Rector, 1996-1999 dean of Graduate Studies, 1999-2005 Rector for 2 consecutive terms, 2005-2011 Dean of the Collegium of Economic Analyses, a unit of the WSE grouping scientists specializing in quantitative methods. In the 1980s and 1990s a lecturer at Collegium Civitas and the Białystok branch of the University of Warsaw. In the years 2005-2006 head of the Civil Service Council. Since 2003 - Chairman of the Executive Board of the Polish University Sports Association. Since 2008 – President of the Polish Accreditation Committee. 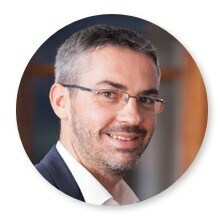 Krzysztof Frydrychowicz is a technology and business media expert, co-founder of Infotarget consulting services company. Former editor-in chief at Computerworld, he held several managing positions at IDG Poland, the largest technology media company in Poland. 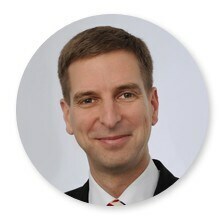 Krzysztof Frydrychowicz holds a degree in law from the University of Warsaw.